Dominion Energy Dividend Stock Analysis. A high quality dividend stock. This dividend stock analysis for Dominion Energy has been recently updated. You can find it by clicking this link: Dominion Stock – Energize Your Investments. Dominion is one of the largest producers and transporters of electricity and natural gas in the United States utility sector. They also operate one of the largest natural gas storage systems. Dominion is paying an annualized dividend of $3.02 per share, a 3.87% yield at the recent price of $78 per share. Dividends per share have grown consistently in the 7-8% range over the past 7 years. 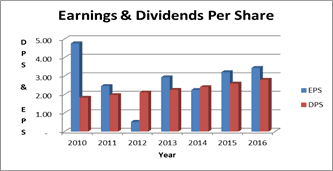 Earnings per share have grown consistently supporting the dividend growth. The dividend payout ratio was 81% in 2016. This is consistent with the long term historical trend. Based on the company’s August 2017 presentation at their investor meetings, they expect operating earnings per share to grow at least 10% in 2018 over 2017. The company anticipates dividend growth from 2018 to 2020 to be greater than 8% annually. These trends will likely reduce the payout ratio in future years. 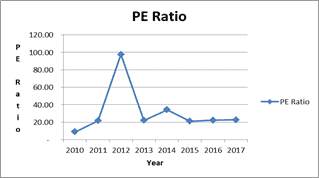 Dominion’s PE ratio has resided in the low 20’s much of the past several years and continues to rest there currently. Given the valuation and with a dividend increase in the 8% range expected later this year, Dominion appears to be a buy option below $80 per share. Dominion is a member of the Dividends Diversify model portfolio: Model Portfolio. 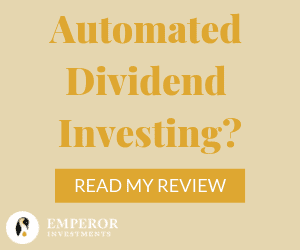 Dominion is also featured in this review of three great stocks for income, income growth and capital appreciation called the Triple Play. What’s your take on Dominion as a dividend growth stock? Leave a comment and let me know. As of this writing, I am long D. Always remember that the information on this site is for educational and entertainment purposes only and not to be construed as investment advice specific to your circumstances. 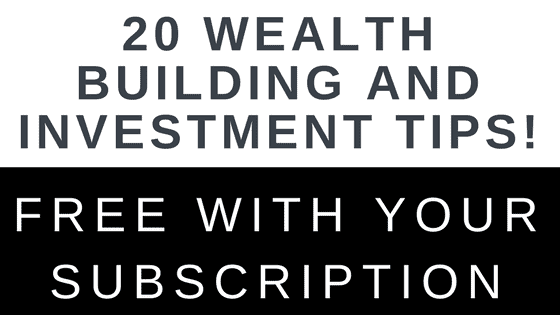 Consult your personal investment and/or tax advisers prior to investing money. You are solely responsible for any investment gains or losses as a result of the investments you enter into. You can find additional information under this site’s disclaimer tab. You know, the metrics are exactly what I expected them to be. The high payout ratio doesn’t surprise me considering this is a utility. just wish the dividend yield were over 4%. But then again, that growth rate in the low single digits is impressive and they are on the cusp of 4%. Thanks for performing the write-up! Thanks for the insight Bert. The 4% yield mark does make it more attractive. There was a pretty good sell off in the utility sector yesterday. D closed down and now yields 3.93%. D has been a solid performer in my portfolio for many years. As commented above a high payout ratio is not unexpected for a utility. I’m long D, SO and ED. Thank you for sharing your analysis. Even with TSLA batteries coming “soon” utilities still offer safe and stable dividends for the foreseeable future. Thank you for your thoughts. I have admired your blog for some time and it was one of the inspirations to start my own. Keep up the great work. I love D. As you know, I initiated a position not long ago. P/E is 24, Forward P/E is around 20, Dividend 4.2 %, with CAGR year 1,3, 5, and 10: 8.1%, 7.6%, 7.3%, 7.3%. ROE is around 10, but what I really like is the OM at 38%. I suppose ROIC at 5% is okey, actually quite good when we talk about utilities. Energy generate mid to high-single-digit annual earnings growth. I think that if one combine D with ED, SO and DUK, one can expect solid returns for decades. I want to add tomorrow to my position in D or open up another utility position, but also feel that I should invest more in sweden/norway, since the $ is so damn high. Also, with higher oil prices, $ goes down, so might be smarter to wait. We shall see. Hi Tom. This is a thorough and interesting analysis, given that we have had the benefit of a few months to see how the stock has performed. Currently (as of mid January 2018) the stock is even more undervalued. It is roughly $75 per share now, and Morningstar gives it a price target of $87 per share. The PE is still in the 22 range, but the dividend is now 4.1%. Investors are a little spooked by the SCANA merger, but I think that even if it does not go forward, Dominion will be fine. Unfortunately I spent all of my capital purchasing other stocks earlier this month, so I cannot take it vantage of this buying opportunity.. But I need to add one more utility position for diversification purposes, and if I can scrape together the capital, this one will be in my portfolio. Thanks for your usual excellent analysis. Hey FIREman. Very insightful thoughts. I was just reviewing D today and couldn’t agree more. I can tell you are doing your homework. My homework looks like yours. If I had some more capital right now and it wasn’t already a large position of mine, I would add. In fact I did add at around $78 the first week of January.